During the renovation of the bunker in Bilthoven communication had to continue. 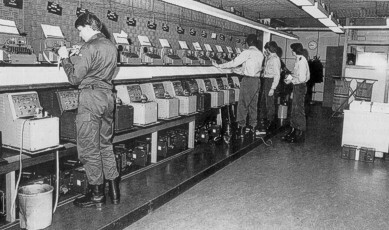 A temporary telexcentre was built in the former German Bunker Servaes Bolwerk in Utrecht. This bunker has been demolished now and our coverage can be found in the main location Utrecht on this website.